We upgraded sporty and sleek, with bug-free and cooling. Designed in a comfortable stretch woven material for mobility, this favorite silhouette works with sandals, sneakers, or hikers. 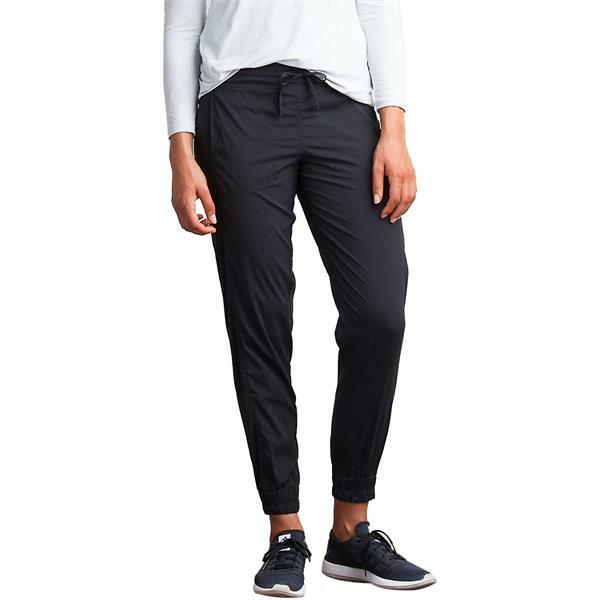 The flattering off-center front seams, back yoke, and hidden back zippers make these your new everywhere travel pants. ExOfficio® loves innovation and developed the new BugsAway® Sol Cool technology to give you the ultimate in travel comfort and protection. Sun protection and cooling: Sol Cool Jade fabrics slowly absorb and quickly release heat, creating a cooling sensation on the skin. The fabric is cool to the touch and wicks moisture. Bug blocking: BugsAway® apparel is treated with Insect Shield®, giving you invisible, odorless protection just by putting on your clothes. The treatment is bound to fabric fibers, so it stays in your clothes�not on your skin�and lasts through 70 washes. Ants, flies, chiggers, midges, and ticks don't like it, and neither do mosquitoes, which can transmit insect-borne diseases such as Zika, Chikungunya, Dengue, and West Nile viruses.